As a parent it is normal to worry about your child’s development and whether they are progressing toward a happy and functional adulthood. If your child is on the autism spectrum, you know that he may have a few more hurdles to get past than other children. One of the biggest difficulties facing children with ASD is social interaction. Making friends can be a little scary for any child, but for the child with ASD it can be daunting. Here are some tips to help making friends a little easier to navigate. Children often recognize things they don’t have the language to explain. Your child’s classmates have probably already realised that your child is somewhat different from them. Some parents decide that sharing information about their child’s special needs with peers and their parents is a helpful way to build understanding and friendships. This choice is not for everyone, but if you decide to share information about your child’s additional learning and social needs with other kids, it’s important to take a considered and collaborative approach. You may wish to seek the advice of an expert in the field, such as the school’s counsellor, learning support teacher or outside psychologist to work with you to prepare. Involving the classroom teacher is also vital because he or she will be the person who has to deal with questions from other students (and possibly their parents) after your child’s diagnosis is disclosed. 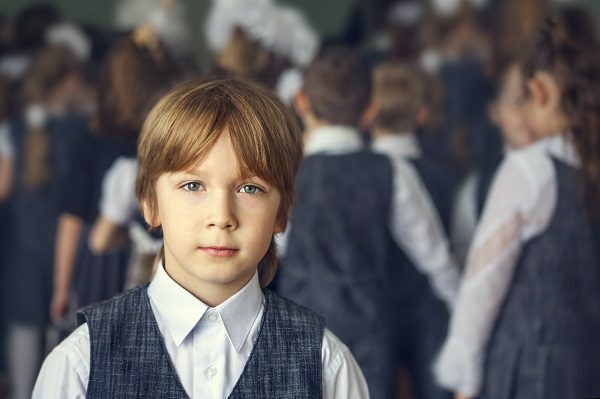 While visiting the class to talk about what autism and what makes your child unique is not for everyone, many parents who have chosen to do this report that lots of kids take the information in their strides. Other children’s capacity for empathy may surprise you, and in this day of digital media, where information about autism is more freely available, you may also find that their parents are understanding and supportive too. It may sound simple, but your child may not recognize whether someone is their friend or not. The ‘frenemy’ is alive and well in many schools, and kids who behave in this way will often pretend to be your child’s friend, but then say or do hurtful things that might be amusing for them, but confusing and upsetting for your child. And of course, let your child’s teacher know that you suspect something is amiss in the playground. This will give the school the opportunity to monitor all of the children’s interactions and to ensure that your child is safe. It is easy to feel overwhelmed or confused with a situation if you feel unprepared. For lots of kids diagnosed with autism, role plays are a great way to practice the unpredictability of playground conversations. Try practicing the questions that your child might ask in order to begin a conversation. Also discuss with him appropriate responses to common social interactions. For example, you might teach him how to respond if someone introduces themselves or offers to shake hands. You might teach him appropriate ways to initiate an interaction. You might also write scripts together of how conversations can progress, so that when confronted with a new situation, he can respond with confidence. If your child is very visual, drawing these hypothetical conversations as a cartoon strip could be a way to help him think about what he would say in response to other people. It’s not always easy to meet like-minded mates in the playground, but outside of school, there are many activities that might pique your child’s interest and offer social opportunities. What is your child interested in? If he loves transport, a local model train club might be just the avenue he needs to meet other enthusiasts. Does she love science and technology? Keep an eye out for robotics, coding, Lego or design programs such as Tinker Tank or Bricks for Kids. Activities like Cubs and Scouts are also often great for ‘high-functioning’ children with autism because they are interest based and usually have quite a high ratio of adult to child support. Giving your child opportunities to meet with other kids who have a common interest can be an excellent starting point for conversations and connections with same aged peers. For children on the autism spectrum, big groups of kids can be daunting. One of the best ways to forge friendships is to start small, with short playdates with just one other child. If you are going to organise a playdate, there are a few things you need to know though. Kids who struggle to make social connections often need structure to help them manage the social anxiety they feel, so have a few activities prepared when your child invites a friend to your home. Don’t forget to have a snack prepared, too. It is amazing how treats can grease the wheels of social interaction. Timing and duration of playdates are key to their success. Make sure that first meetings are short and sweet, long enough to have fun, but not so long as to wear anyone out. Initially, you may want to stay close to direct your child as he needs it. As the friendship progresses and the children become more comfortable with one another, you can hover less. Also, don’t get too concerned about the children interacting the whole time. If they engage in parallel play, that’s fine because even typically developing children engage in parallel play. The main objective of a playdate is for everyone to have a good time. Your autistic child may have more difficulty dealing with social interactions than the typical child, but with encouragement and support from you, it is possible to build your child’s confidence and help him to navigate the social landscape. The most important thing is not to give up! Kids who are ‘on the spectrum’ can and do make friends…but sometimes it takes a little time to find the right connections. Stay hopeful, be patient and keep looking for environments in which your child will find like-minded friends. Your child’s laugher and smiles when he finally finds that friend is worth the wait! If you are worried about your child’s social skills, Kids First’s social skills groups for children aged 6 to 8 could help. The Friendship Lab is an evidence-based program led by our experienced psychologists and teachers. The Friendship Lab supports children who are diagnosed with autism as they develop the skills they need to connect with other kids. To find out more about the support that is available for you and your child at Kids First Children’s Services, please contact us on 9938 5419 or complete the ‘Contact Us’ form below.